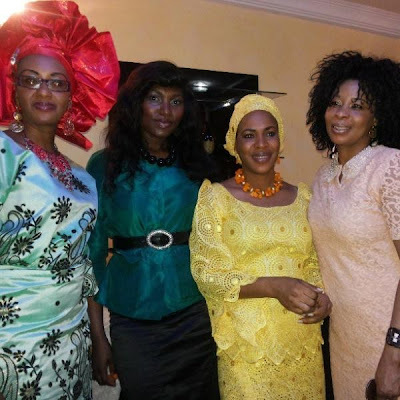 Lagos-based Nollywood stars like Fathia Balogun (the ex-wife of actor Saheed Balogun), Ufuoma Ejenobor stormed the house of fellow actress Mercy Johnson to partake in her joy of motherhood during baby Purity Okojie’s dedication ceremony on Sunday. 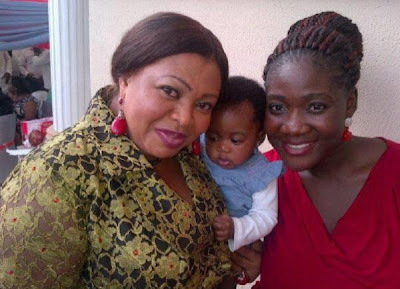 Naturally endowed actress Jennifer Eliogu and many other Nollywood stars were also present at Mercy Johnson’s baby dedication ceremony. 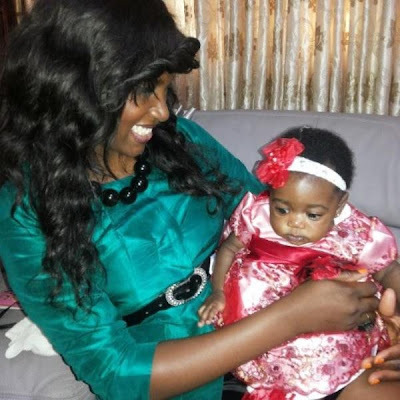 Jennifer Eliogu poses with Mercy Johnson and baby Purity. Mercy shine ur eyes o.I don warn u o.All these ur pple from d industry,some of dem na fake o.Ehen i don warn u.Me i no call dem ur friends @ all wt all these husband snatching tori 4 di industry.B WARNED.Gd luck. congrats mercy and I pray that God will keep your baby and protect your marriage.